It’s dark when we make our way toward Thurn und Taxis Palace. 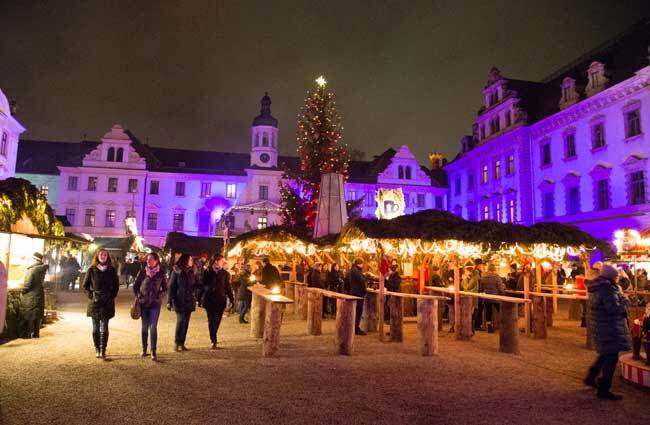 It may be cold here in Regensburg, but we’re bundled up properly, eager for our night at the Christmas market. Up ahead, I can barely make out the outline of the massive palace structure. Then we turn a corner and suddenly it looms before us. I have to pinch myself as we walk into the palace courtyard, where I’m surrounded by tiny wooden stalls lit up with twinkling Christmas lights. The scent of cinnamon and hot spiced wine mingles in the cool night air. Soft purple lights illuminate the palace, creating a fairytale-like feeling. Christmas music plays in the background. 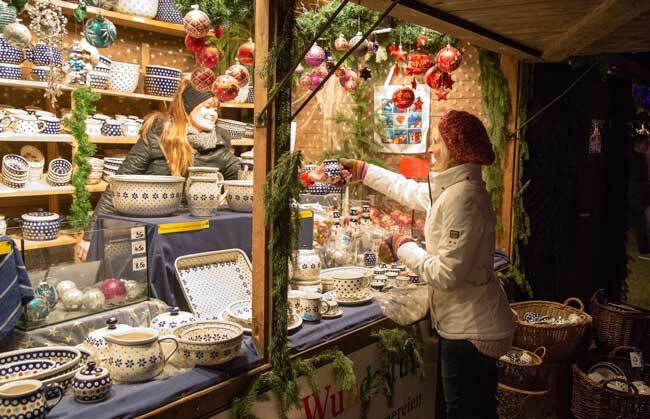 Christmas markets in Germany are a huge part of the holiday season. 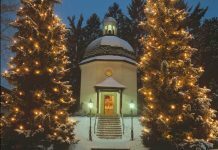 For Germans, Christmas markets are a treasured social tradition, a place to meet friends and family for a festive night out. To me, Christmas is not quite complete without a visit to a Christmas market. So this season, my fiancé, Benjamin, and I decided to visit six German destinations along the Danube. After flying into Stuttgart, we rented a car and off we went. The roads are excellent in Germany, and a car would allow us to visit places that many visitors miss. It seemed only fitting to start our holiday trip with a visit to the Nativity Museum in the tiny town of Oberstadion. The museum is a labor of love for this community of 850. Oberstadion has converted an historic barn built in 1492 into a small, but impressive museum. 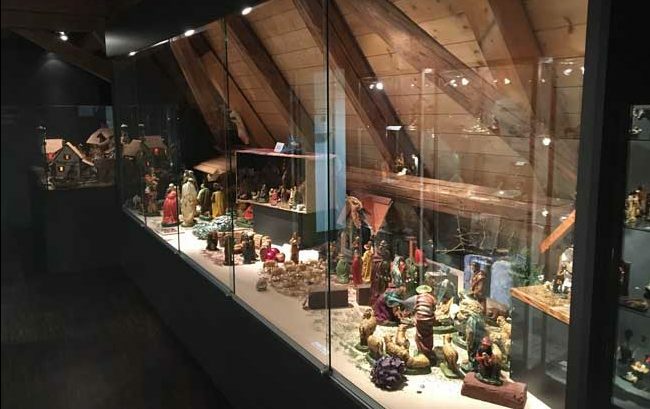 The museum houses a diverse collection of more than 160 nativity scenes. 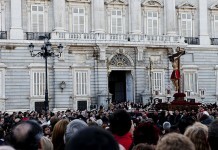 Crèches, as they are also known, came to Europe in the 4th century, and have been found in the catacombs of Rome. The oldest crèche at the Nativity Museum is from 1850. One of my favorites was a Christmas scene by Italian artist Claudio Mattie where you can watch the “daylight” move through the scene from sunrise to sunset. We came for the Christmas markets but wanted to explore each destination too. 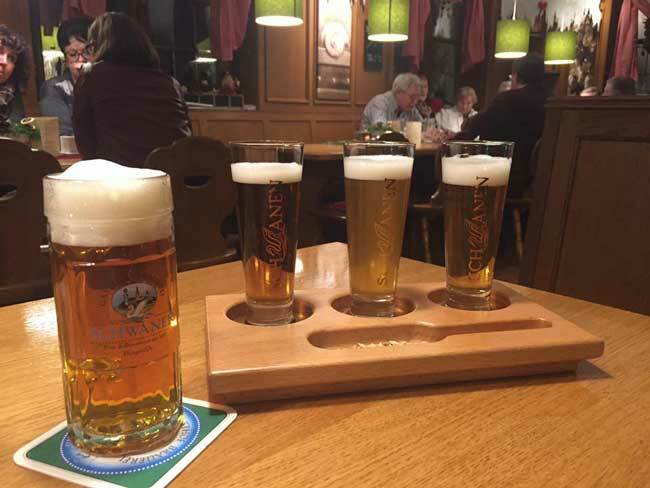 And in our next stop at Ehingen, it was all about beer. This town along the Danube has only 26,000 people, but is home to four independent breweries. The Berg Brewery (BrauereiWirtschaft Berg) has been in existence since 1466. The Zimmermann family has owned it since 1757, and owner Ulrich Zimmermann is the 9th generation to run the brewery. With these kind of deep roots, they obviously know a lot about beer making. 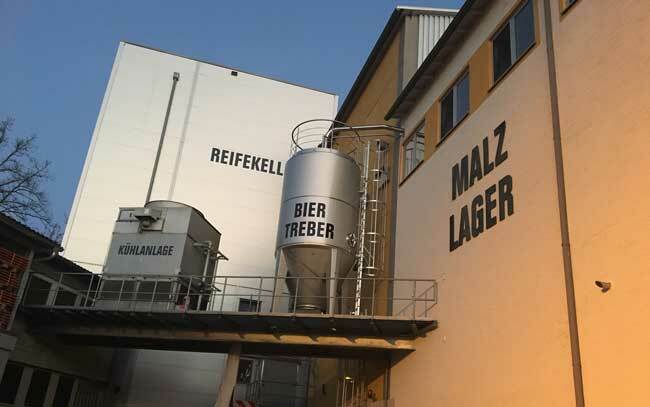 Berg Brewery offers tours of their facility, and we eagerly joined our guide, Franz Nothelfer, for an inside look at the process. Mr. Nothelfer was a walking Wikipedia of beer. He explained Germany’s Beer Purity Law (the Reinheitsgebot), which Germany has followed for almost 500 years. In 1516, it stated that only barley, water, hops and yeast could be used to make beer. A more modern variation allows malted grains, hops, water and yeast. 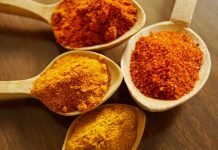 While this may seem restrictive, the amount of variations you can create are almost endless, Mr. Nothelfer explained. 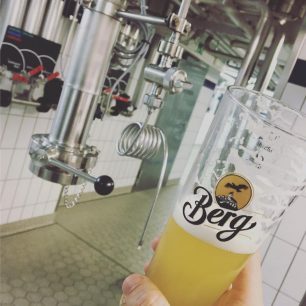 The Berg Brewery produces mainly for the local market, and buys grains from 36 local farms. It was fascinating to watch how the product was created, from beginning to bottling. But the best part was when our guide pulled out glasses and let us sample beer straight from one of the taps. We then sampled a flight of different beers at the Berg Brewery Restaurant. The beer was a good accompaniment to our tasty schnitzel and spätzle. My favorite drink, though, came when we walked outside to the Christmas stand on the patio. There we tried glühbier, a hot combination of beer, wine, apple juice and cinnamon. Our hotel also had a long tradition with beer. The Beer Culture Hotel Schwanen (Best Western BierKulturHotel Schwanen) is owned by the Miller family, who also own the Schwanen Brewery and Restaurant across the street. The hotel focuses on beer culture, with rooms designed as “beer crates” that give it a unique touch. Schwanen has been a brewery since 1697. Michael Miller, who is the brew master and a beer sommelier, is the 5th generation to run it. Along with 40 different types of beer, Schwanen also makes beer liquors and beer snaps. And although we didn’t get to tour the brewery, we did eat ice cream with their beer liquor, which was the perfect way to end the day.